Ultadanga, with many of the prominent offices and institutes, is one of the most high-density areas in Kolkata. Construction of many flyovers and highways has been a major factor in the development of this locality. Plenty of employment opportunities and the growing social infrastructure, attracting the home seekers to own an avenue in Ultadanga. 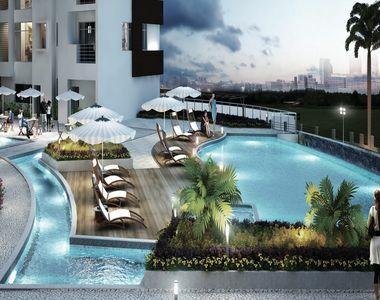 The projects providing high-end living are filling fast here. 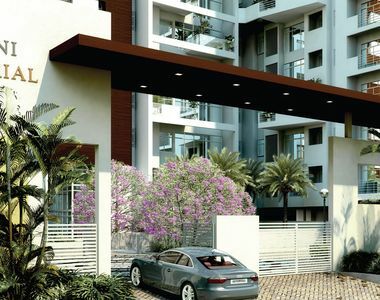 Rich professionals with NRIs and other property seekers engaged with different occupations are very much interested in investing here in a grandiose lifestyle. Everyone is looking to live right around the corner of the city, where convenience meets with luxury. For those, the budget does not matter, the only requirement is what their family dream about would become a reality, Mani Imperial Ultadanga is a perfect destination. All those limits, you have dreamt about, will cross here, when you enter the premises of this luxurious complex. That happiness which cannot be recognized elsewhere is available right here. A perfect lifestyle with modern amenities is not just a gift that you own as a blessing, you have to work hard and diligently to earn it. 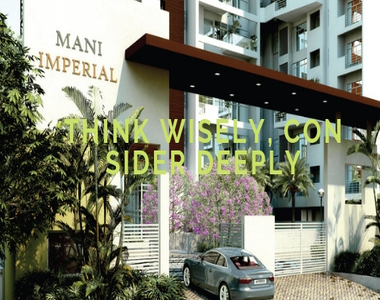 At Mani Imperial, you will get the complete worth of what you will invest from your whole life hard work. The premises here are a host of all modern amenities and completing the contemporary lifestyle exactly the way your family has desired. The project spans over 3.93 acres of land, with 70% open space full of landscaped gardens and spectacular views. The sizes of 4 BHK apartments at Mani Imperial Kolkata vary in the range of 2789 sq. ft. to 3100 sq. ft. Each of these residential apartments is available in the price range of Rs. 2.52 crores to Rs. 3.21 crores. Seamless connectivity throughout the city is essential for any investment move. The township is located at a noble destination which provides the residents to move around easily to all major landmarks of Kolkata city. International Airport, major bus stops and other major facilities like schools, hospitals, shopping destinations, food courts etc. and many more are in close proximity to the premises. A dream home can never be completed if any of the essential element is missing somewhere. The township at Mani Imperial has been designed in such a way that every feature required for a modern lifestyle is in your reach. Out of all those modern amenities and facilities including swimming pool, Jacuzzi, clubhouse, multipurpose hall, gym, kids’ play area, indoor and outdoor games etc. and many more civic amenities are available at the premises that please your eyes and will nourish your future. Including the collective data from various surveys, Mani Imperial Ultadanga is one of the most sought-after properties in the locality. It is the perfect investment move to own a perfect urban home for you in terms of lofty construction and design standards.